Join Jeremiah's Ice of Oviedo as they support Britton Daniel in his fight against cancer! 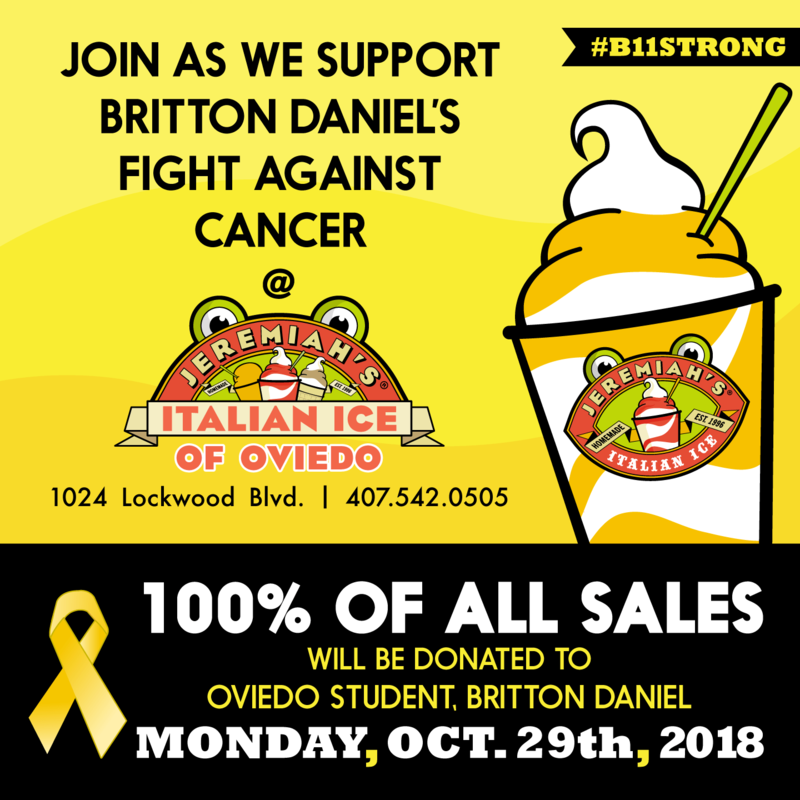 We would like to invite you to join the Oviedo Frog Squad as they support Oviedo High School senior, Britton Daniel's fight against cancer this Monday, Oct. 29th, with 100% of ALL SALES being donated to assist his family as they face extraordinary costs associated with his treatment. Drop by 1024 Lockwood Blvd. to be a part of this special opportunity to contribute to Britton's fight alongside your Oviedo neighbors. We look forward to seeing you there! If you would like to learn more about Britton Daniel or provide additional monetary support, we encourage you to visit https://www.gofundme.com/b11strong.